Vinyl Digital Exclusive: Limited Edition 400 copies on white/red marbled vinyl! "Inspired by girls that broke my heart and girls that put it back together." Needless to say more about this beatiful record straight from emune' s broken-fixed heart. 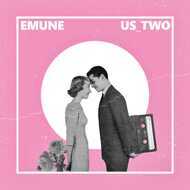 First emune vinyl release ever!